IGN got to take TERA for a spin on the PlayStation 4 Pro last week. Their verdict? The game “plays more like an action game than most of its MMO competition,” which seems like not the most astounding revelation about a game that’s always provided itself on action combat. Still, that helps it feel more natural with a gamepad than most MMORPGs, and maybe that’s part of why Bluehole Studio and En Masse Entertainment are banking on the game doing well on consoles. One of IGN’s bigger beefs, however, is how the game doesn’t let you customize your combos, like you can on PC. TERA was originally announced to be releasing on consoles this year, but with just a few weeks left in 2017, that might be a little optimistic. Something that I agree with the salt lord is the bunch of female class exclusives. It’s kinda annoying, i like them, don’t get me wrong. I like it pretty much of Brawler and Valkyrie, but i’d like to see some male classes tbh too. I believe in TERA. Was one of the first and last mmorpg that i spent time in it. I hope that all types of players could be realized inside the game. And, after that, of course, i’ll coming back. I used to be a die hard fan of Tera until they decided questing was boring and removed 80% of starting game content… So now more than half of low – mid level areas are empty. They also made all low – mid level dungeons easily soloable… I would have preferred a separate solo version and a same old difficulty 5 man version… But oh well, now a days kids need quick end game MMOs instead of full of content MMOs. I’m old I guess. I think you’re playing the wrong game, or have played it for 10 mins when it released. The game is an open world MMORPG, with a lot of population in the low level areas. Seriously, way to make yourself look stupid. Don’t take my word for it, readers. Go make a character and login yourself. There is plent of people to play with at low levels, fast dungeon queues, fast PVP queues. Don’t listen to this salt lord. LoL, you got it wrong. What I’m saying is Tera IS actually a huge open world MMORPG with all that it implies. But the video is just showing a BAM solo battle making it look like a Monster Hunter type game when it’s not. That would mislead new players on the PS4. Also when I said low-mid level areas were empty I’m referring to NPCs with quests hubs…. not players. If you played it 2 years ago and compare to now, there is less than half of things to do in order to level up since they speed way to much the level up speed for my taste (again… I’m old – not stupid, oh, gifted one-). There are actually whole areas where you don’t even need to go since there are only mobs…. no quests, npcs or any reason to go there. Again, Don’t get me wrong. 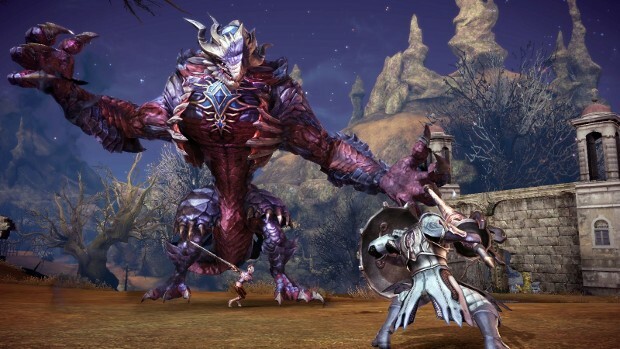 Tera is the best action MMORPG you can play since it came up. But it got easier and easier by removing more and more content (quest lines) and speeding up lvl growth.